This lovely shrub is very hardy and well worth a place in a shrubbery. It can grow to 2m highÂ and 3 m wide although I have never seen this size in garden conditions. It can be pruned and this will keep it to a reasonable size. There are large, red pea shaped flowers very attractive to birds and butterflies, during winter and spring. This is a hardy plant suitable for front line coast and inland situations. It is moderately frost tolerant and requires good drainage. This can be achieved by creating a planting mound at least 5-10cm higher than the surrounding soil, if drainage is a problem. 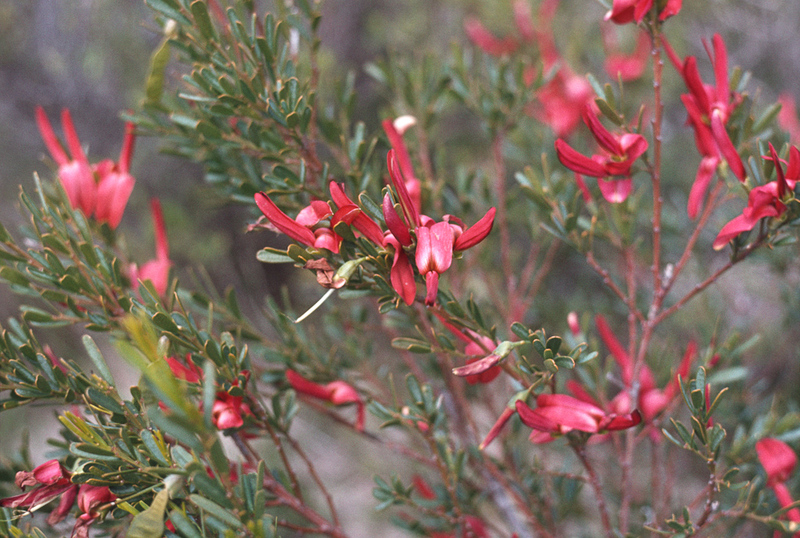 Templetonia retusa is found in South Australia and Western Australia. More information can be found here and here.